The Havens family has traded in Hamlet Court Road since 1901 so it is fair to say that we know a bit about it. 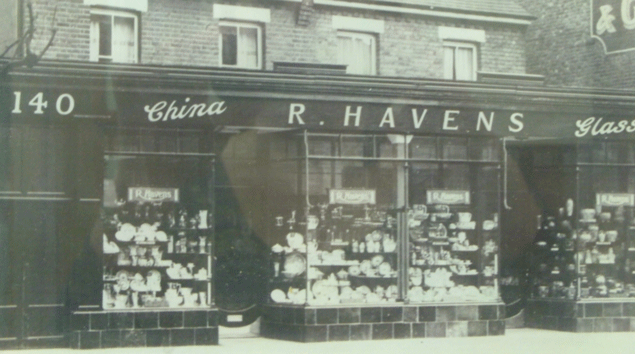 My Great Grandfather Rawdon Havens set up a small shop in HCR in 1901, later buying 138/140 Hamlet Court Road in 1920’s, our current site. At that time the Southend area was enjoying real commercial growth from East Enders taking jolly holidays in the area. The Seaside was an alluring feature compared to a smog ridden City. 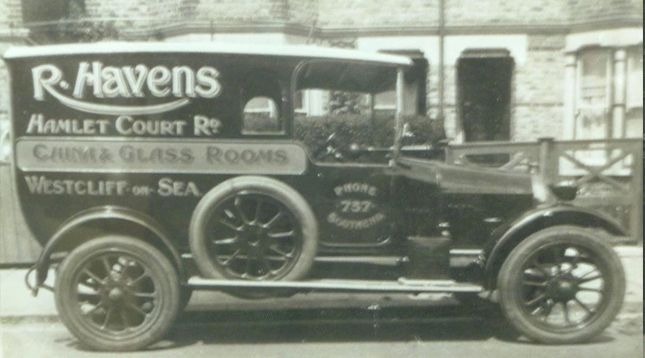 By 1930’s my Grandfather Edward Havens was Managing Director and had enough confidence in future business to have designed a two story extension bespoke for China and Glass retailing, drawing on many of the Art Deco styles of the era. For the next 50 years business was good with clearly some challenges including a War, the Miners strikes of the 1970’s reducing trading to 3 days and more recently the 1990’s banking crisis. There was still a demand for our product category and our Brands were aspirational. Hamlet Court Road was also a highly respected retail destination known for its classy shops – dubbed the Bond Street of Southend. Things started to waiver in the late 1980’s. The surrounding area was beginning to change, large houses being converted into flats and multiple occupancy, the culture was changing. Retailing was changing a pace too. Sand pits being converted into Shopping Centres – Lakeside and Bluewater in 1990 and 1999 taking £800 million each out of local economies. By the late 1990’s our product category was starting to lose its appeal culminating in all our key brands including Waterford Wedgwood, Worcester Spode and more going into Administration in the early 2000’s. More recently, gone are the services and financial institutions that used to bring the footfall that is the life blood of retailers. The consumer now socialises, absorbs News, uses Services and Shops on line and the Amazon affect will continue to have a dramatic impact on the High Street going forward, particularly for independent retailers. So how do we breathe life back into the High Street UK plc. For the higher footfall primary main High Street areas, retailers will need to be more imaginative with their offer to differentiate themselves from not only their physical competition but also the on-line competition. The consumer demands more than just shopping and wants additional leisure experiences and services including eating, drinking, entertainment, personal styling, personal shopping, home design, booking services, a concierge service and much more. They also want to be able to access it easily too, principally by car. In secondary retail locations with low or no footfall areas it will be dependent on the continued revitalisation of the housing and community in the surrounding areas who will use it as their local again. It will not be driven by retail. There needs to be an increase in mixed use as people become more comfortable to town dwelling. The focus should be on the community with services, culture, office space and leisure. In turn this will bring footfall that will then support the smaller specialist retailers that if good will start to survive and thrive. It will be those successful businesses that will revitalise the fabric of the buildings themselves. Without revenue they cannot afford to do so and the buildings will suffer. Without footfall to potentially convert to customers in your trading area there is not a retailer in the world that can survive. If you are in any doubt whether there is footfall in an area look at the composition of shops. Ask yourself why are there no national franchise Coffee shops, Costa Coffee or Starbucks and no mobile phone shops. They have statistical data on consumer footfall and profile in every area of the country. Regeneration has already happened in London. Islington Upper Street is a good example, my daughter now lives there. Leisure in the shape of restaurants and bars predominate. Upper floors are mostly dwellings. Charity community hubs for people to use. Quality shops have moved back in. There are Church’s, Mosques, Fire Station, Town Hall, Galleries, Theatre, refuges and more, it is a whole community. Hoxton, Shoreditch and much of south London too. 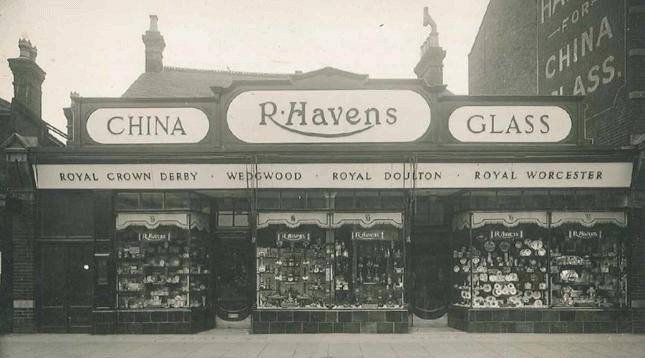 The Havens store is an anachronism in today’s era, not just in Hamlet Court Road but nationally. Trading above ground floor level has always been a challenge, even in the retailing glory days the First floor represented 25% of the business and the Top floor less than 7%. Our family and more recently my brother Paul and I have cared for and invested in the building as we strived to continue to serve the people of Southend. As a business, change has always been in our DNA. New departments and product categories, some working some not, have been introduced adding to our original offer of Tableware, Crystal, Homewares and Gifts including Stationery, Linens, Beds, Confectionery, Jewellery, Ladies Fashion, Perfumery, Cosmetics. Many services added to try to be more compelling to the consumer including Engraving, Wedding Lists, Pop Up Café, Beauty Salon, Nail Salon, Gift Wrapping, Collectors Events, Christmas Events, Wine and Food Tasting Events, Cookery Demonstrations, Bespoke Crystal, Bespoke Tableware, Company Loyalty and Service award programs, Business to Business Gifts. Havens was an early adopter of the Internet in 1999, we were extremely fortunate to have the foresight to get our internet business off the ground so early. Once the Internet sales started to overtake in-store retail sales, further change would be required. This is where we are at now, we cannot put the toothpaste of Internet trading back into the tube. It will continue to grow and dominate the way people buy things in certain product categories – ours being one. The figures speak for themselves and running a retail shop in Hamlet Court road of this size, near enough 10k square feet, is just not viable. We started the process of soft marketing the business in early 2016 through local Property agents to establish levels of interest. It was clear that developers and leisure operators held the most interest. In May 2017 we fully marketed the property and announced our closing down sale. The store was officially closed on Saturday 13th January 2018 though currently we are opening shortened hours Monday to Friday 10am until 4pm. We first started talking to Age Concern Southend ACSOS in July 2017 and they invited me to see a similar operation in Eastbourne. I was keen to see for myself both the need, execution and sustainability of this bold project. Since we agreed Heads of Terms with ACSOS to rent the Ground and First Floors we have still received interest and offers from Leisure operators and developers who await the current planning outcome. There is no one more passionate about the Havens building than ourselves, our family built it. We feel that of all the options Age Concern Southend is the best for the Community, best for Hamlet Court Road and best for the building. It will employ more people overall, it will have more visitors and users who will then use other local businesses. It will also allow Havens to retain the top floor from which we can conduct our online business, albeit in a different way to how it is now and also keep a caring, watching brief on what goes on down below! Ultimately the Havens family has given it everything to keep the store going. There are few product categories that we have not tried, few added value services we have not introduced. All this against a back drop of declining footfall. This situation is not just Southend it is nationwide. We were a group of 30 independent retailers of a similar size and we were the last standing. Notably Stockwell’s China Bazaar in Glassford Street Glasgow, traded across 5 floors and is now luxury serviced apartments. The historic 1434 listed building of Mulberry Hall in Stonegate York is now a Botanist cocktail and wine bar and a large, German owned, all year round Christmas shop. Watsons of Queen Street Salisbury, building dates back to 1306, and is now Crew Clothing. This is to name just a few. Whatever happens to our much loved building there will have to be changes and there will always be objections. Sadly and not surprisingly we have had no interest from Retailers, save cursory discussions with convenience supermarkets who are the only ones interested in this size of building and at ground floor level only. For the Havens family we see this as the best solution for our much loved building. A really good and needed use of space with sympathetic and light touch alterations. Importantly ACSOS have a huge respect for the space too and want to use the unique features to enhance their offer. We trust them to do so too. Please do not hesitate to contact us for information and visit the website for any future purchases! Don’t forget to sign up to our mailing list to receive promotions and offers via email too! We will continue to provide our first class service and look forward to a bright future. Thank you John, we are not gone yet or closing all together. The store currently remains open Monday to Friday 10 until 4pm with some great offers and promotions our suppliers are throwing at us!The on-line business continues to be open 24 hours a day and 365 days a Year! Well said Nigel and also a inspiration to other business owners showing that we need to be aware of changing consumer demand and to be ready to adapt to that . As an independent Business man yourself, I know how hard you and Penny have worked to transform the Gleneagles Guest House. Your tenacity and commitment deserve success and as you know I have a great admiration for your achievements. The creaky floorboards in Havens building have given me as many years of pleasure as my Wedgewood dinner service. I’m glad that both are still going strong. I thank the staff from whom we have always received such polite and efficient service. Always a joy. Good luck going forward. Indeed the floorboards do still creak and will continue to do so if we can get the Change of Use plans passed! Service has always been important. Our team treated the building as we do – our home. Hopefully this is how it felt when you entered. What a beautifully crafted piece , very descriptive evoking the different eras but also highlighting how the Haven’s family have been, and still are, modern in their thinking !! Long may they “retail” in whatever shape or form !! Hopefully explains our decision making process. Thank you for your continued support. It will be sad to see Havens go. I got my wedding gifts from there 30 years ago and remember feeling very lucky and quite special walking around adding various items to my list. In such an amazing building. That staircase! Times have changed, unfortunately not always for the best. Human interaction and personal service could go a long way in improving our societies. Wishing your family success for the future. Thank for the service they have provided in the past. Havens will be fondly remembered I’m sure. Thank you Jane. Getting marriages going since 1901 – is a tag line we have used. We are not gone yet and we will continue to trade on-line going forward. This has been a much loved local landmark but, as you say, if you don’t use it you lose it. A lesson for us all to shop locally. 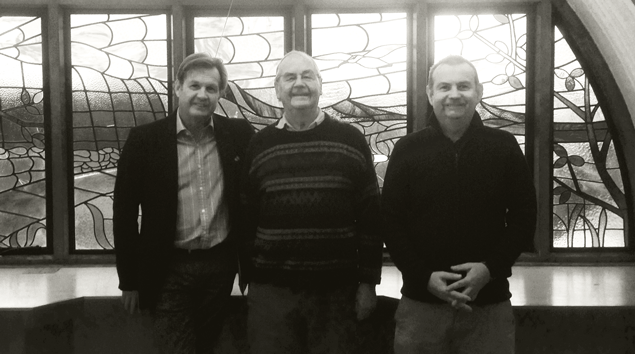 I admire and thank you for your endeavours to do the best you can for the beautiful building and the local area. A refreshing change from greedy people selling anything and everything to developers for flats. Caroyln thanks you so much for your support. You are quite right we must, as a community use or lose all our local businesses and amenities.It is no good lamenting their passing. In truth we are all guilty as charged, I bank and shop on-line myself albeit through mainly independent retailers. I’m an online customer as I live in Cheshire but still find it sad that such a great building has succumbed to the times we now live in. On the plus side your online business still retains the personal touch so differs from many others in that way. Keep doing what you’re good at & I’m sure the future will be rosy! Many thanks for your kind comments and you are correct we try very hard to create that personal touch and contact with our on-line customers. We know that is our USP and customers like it. I refer to Chris Mason’s comments – he has reflected my own views better than I could ever have done. I know you like to shop both in the store and on-line and we will continue to provide that service to you. We are also looking at providing a click and collect service for local customers too. Your latest order for Corinne glasses should not be too much longer. Thanks Lesley, do hope you are keeping well. I grew up in Westcliff and lived in Anerley Rd opposite Havens.We used to love shopping there..So many beautiful objects..we have very fond memories of a lovely shop that was a jewel in Hamlet Court Road. We are still here and will continue to look after you online. I live in the West Midlands and would love to come and visit your shop. I have twice been an online shopper with you, buying two pieces of Rosenthal, which you kindly ordered from Germany. Before I book train tickets, please reassure me that I won’t have a wasted journey, and won’t be pressing my nose against an empty window…. We would love to welcome you. We are trading just on the ground floor but there is access to view our 1st floor art deco showroom. You can always call us in advance and we will make sure we are here. The store currently remains open Monday to Friday 10 until 4pm until at least early April with some great offers and promotions our suppliers are throwing at us! The on-line business continues to be open 24 hours a day and 365 days a Year! I suspect my sister in law Sarah or brother Paul wrapped the item – I am poor at anything that is not square! Indeed we have and you and I have grown up – well aged – I am not growing up! together and witnessed the highs and lows of our trade. We are both so lucky to have been a part of it. Sadly it faces an uncertain future as demand for our brands continues to dwindle. Design, shape and colour will however continue to enjoy success. As you know and like many other retailers we will be continuing with the on-line business. Wishing you all the best for the future. Sharon and I often talk about our Haven days! 33 years ago! Where does time go. Thanks Decia I hope all is well with you. The store currently remains open Monday to Friday 10 until 4pm with some great offers and promotions our suppliers are throwing at us! Whilst the passing of the shop marks an end to an era it is a joy to know that the family firm continues to move at retsil’s cutting edge, from Southend, and that your commitment to the community of Southend and the future health of community centres shines through. Long may you and the company, and HCR, flourish! Good to hear from you and I hope that retirement is good for you in sunny Scotland. A deserved win on Saturday in the Calcutta cup too! As you know retailing has changed massively and during your tenure in Southend the challenge was always how to revitalise the High Street in a different way.Shopping is no longer the driver of footfall to the High Street, the consumer wants so much more as outlined in my article. We are crossing everything in the hope that we get Change of Use planning permission as it has been somewhat more challenging due to the recent Grade 11 listing put upon us in 2016. Of the options available it is the best for the Building, best for HCR, best for the Community and best for us as we will continue to conduct our on-line business from the top floor. You are correct Matthew. there are few businesses that have not been impacted in one way or another. Thank you for your kind reply. We hope to come and see you and your lovely store on the 19th March, snow and storms permitting! I look forward to seeing your Art Deco building. The store is closing but you will still be able to order on line http://www.havens.co.uk and click and collect from here as we retain the top floor or we will personally deliver locally. Fascinating read and insight into a high-end Family Retail Business over the generations. Good luck to you all and well done for making that breakthrough decision back in 1999 – when people probably told you “well that will never catch on!”. 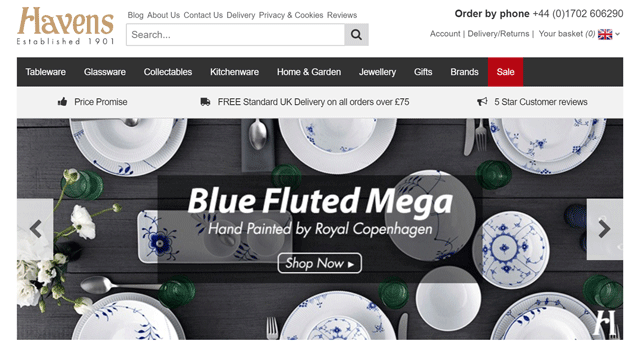 Thanks for supplying that fabulous Villeroy & Boch Twist Alea dinner set – enabling me to entertain my “new Family” at Christmas and to be able to do so again this Easter. 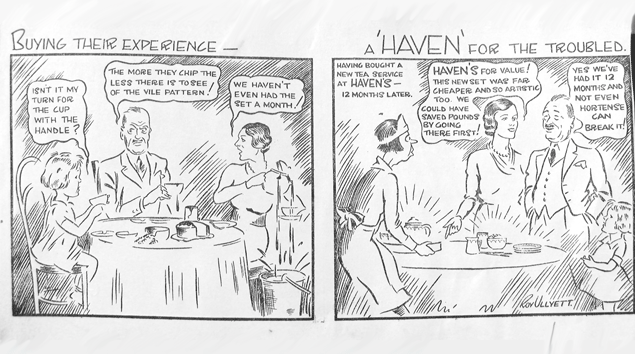 I’m new to this web site; Havers sounds a great historic shop. Do Havers purchase second hand chrystal, for onward resale? I’m looking to sell 34 pieces of Edinburgh ‘thistle’ Chrystal, and don’t know where to go – I don’t use ebay. You will still be able to order on line http://www.havens.co.uk and click and collect or we will personally deliver locally. As a child at nearby St Bernard’s I loved looking at all the beautiful things in the Havens’ windows in the 50s and early 60s! Staring at all the exquisite china stirred something in me which developed into a life-long passion: collecting china of all kinds. Porcelain, bone china, slipware, transferware, Dresden figurines, antique Bernardaud, Wedgwood — I love each and every piece I own. Thank you Haven family for that gift. 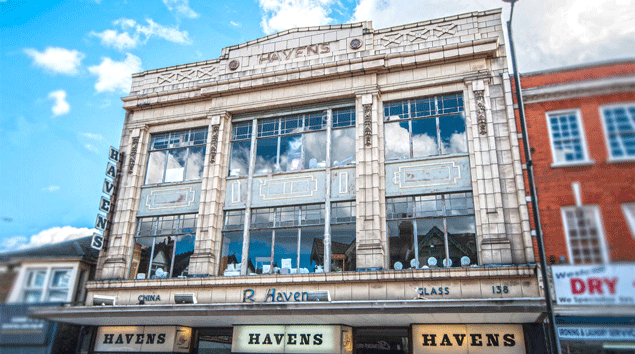 I wish you every success in continuing your online business and am happy to know that the beautiful Havens building will remain.